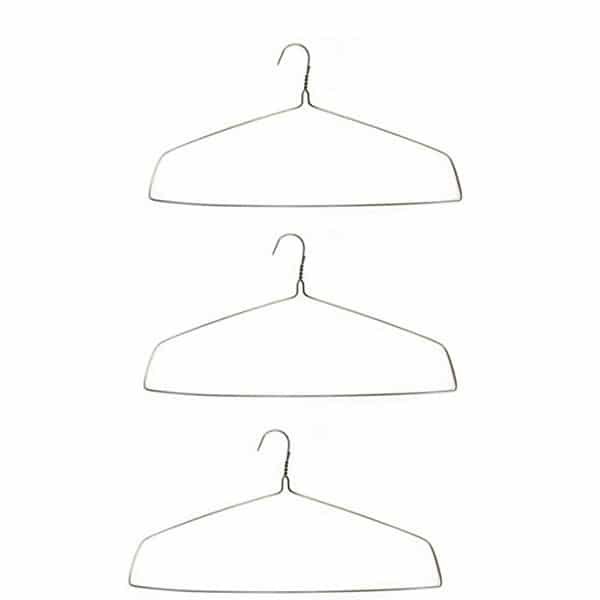 Wire hangers at bargain prices. 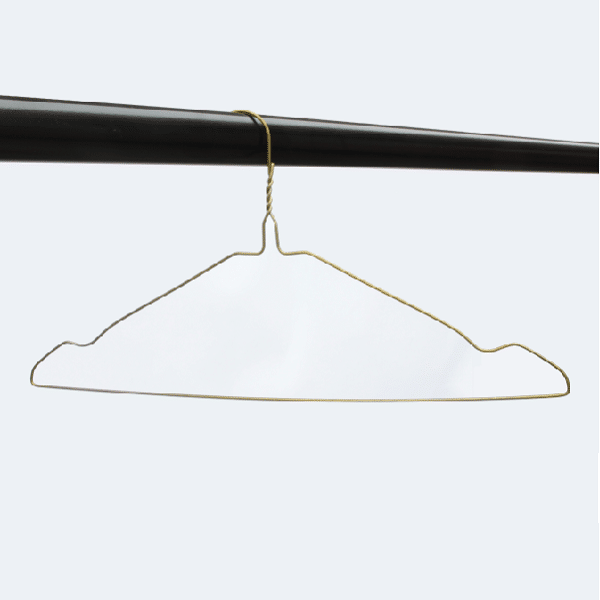 Choose from bronze (gold), silver and white hangers boxed per 500. 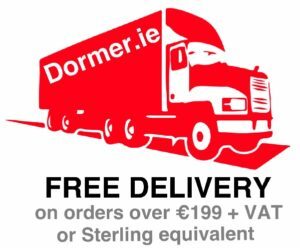 Also buy notched, drapery, shirt and strut hangers now at dormer.ie. 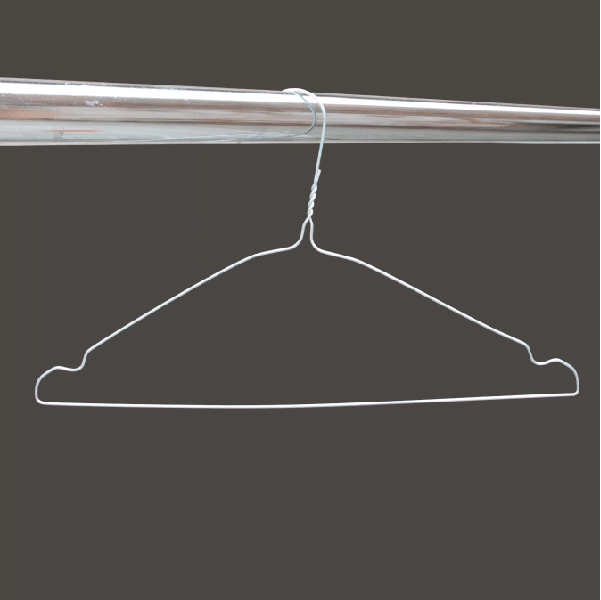 Use 16″ wire hangers to hang a wide range of garment including suits, trousers, jackets and dresses. Made of strong 13 gauge wire. Choose from bronze (also known as gold), silver or white colours. Use cardboard trouser guards to prevent trousers from slipping off. 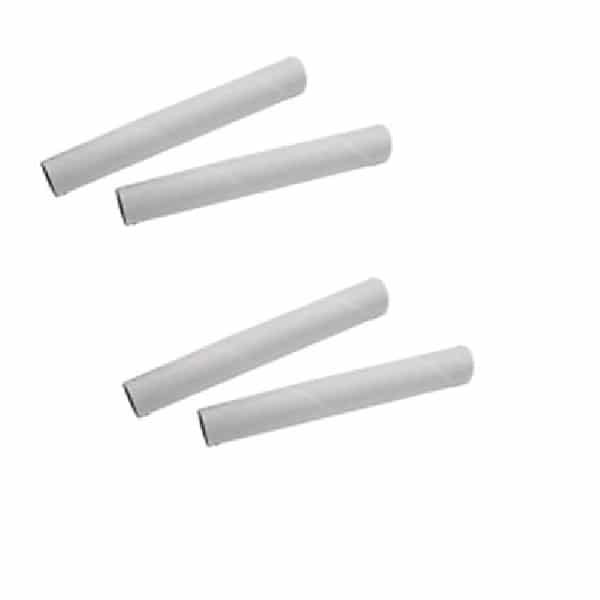 Put cardboard shoulder guards over 16″ metal hangers to improve presentation of suits jackets. Also, use foam hanger covers to secure dresses. 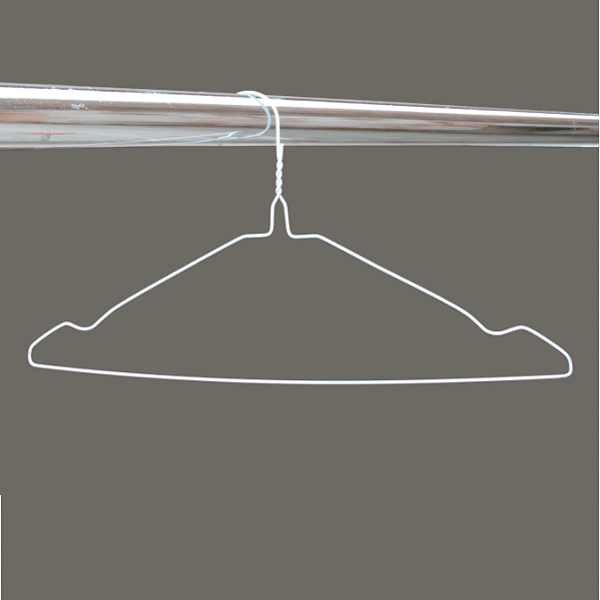 Buy 18″ white shirt hangers to hang shirts. As a result of their wide neckline they keep collars in perfect shape. In addition, the slim 14.5 gauge wire saves space on garment rails. 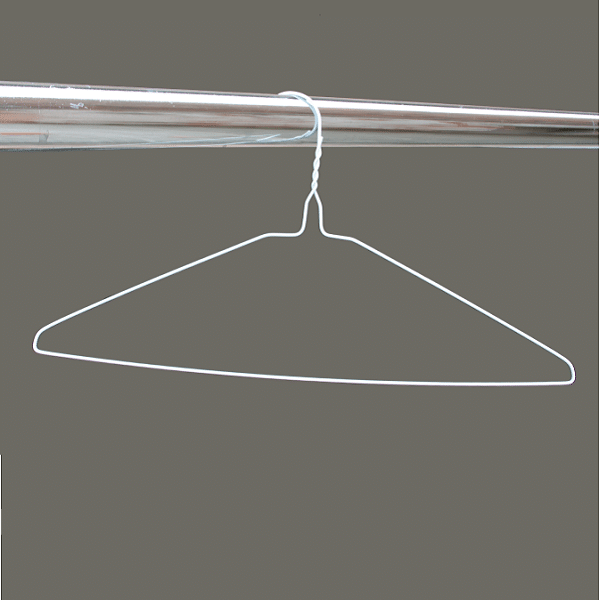 Order notched wire hangers to hang dresses and skirts. Simply secure dress and skirt loops over the shoulder notches. Choice of bronze (also known as gold), silver and white colours. 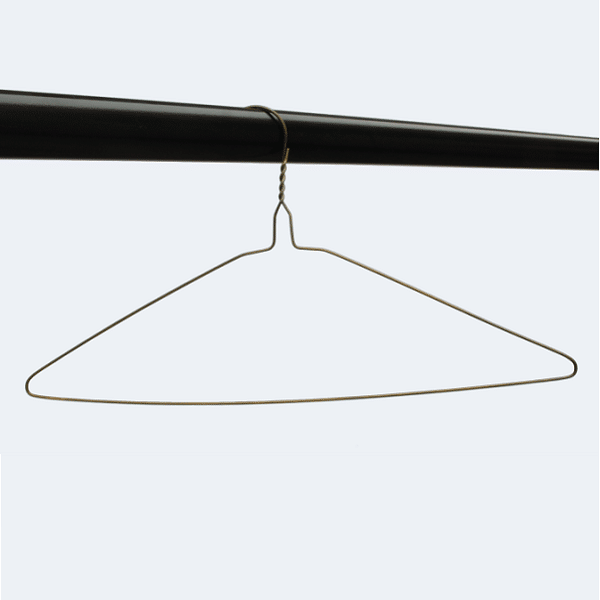 We also sell 16″ bronze strut hangers made in slim, space saving 14.5 gauge wire. Save time in hanging trousers because the strut hangers come complete with a non-slip cardboard trouser guard. Hang curtains using our extra wide 18″ drapery hangers. Made from extra strong 10 gauge wire and as a result strong enough to hold curtains in place. Order them in boxes of 250 in bronze / gold colour. Order non-slip cardboard tubes to help stop curtains from slipping off. Also, boxed per 250. 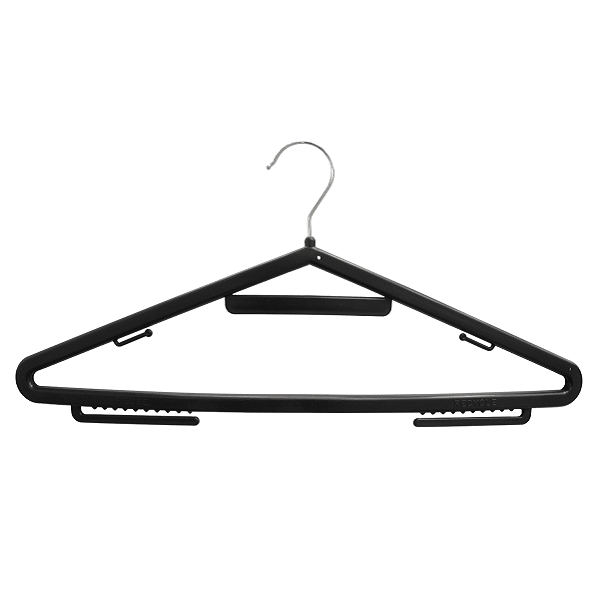 We also sell plastic hangers including the multi-purpose Dormer Hanger. 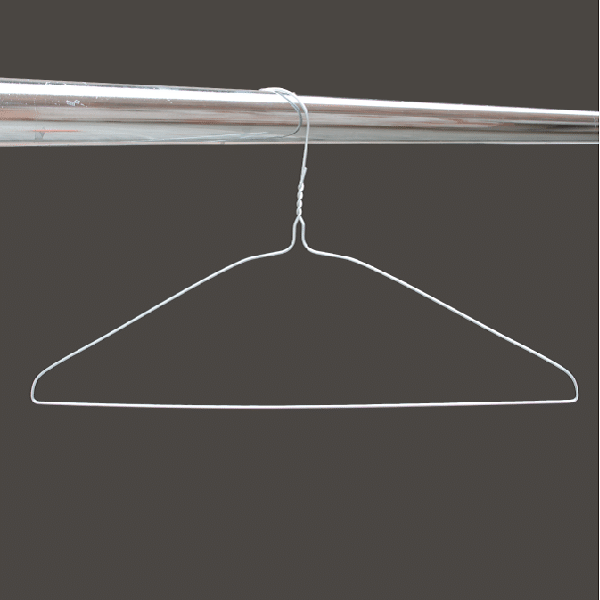 Leading dry cleaners use the Dormer Hanger to hang suit jackets, trousers and also ties. It is great value for money and also enhances the presentation of suits. 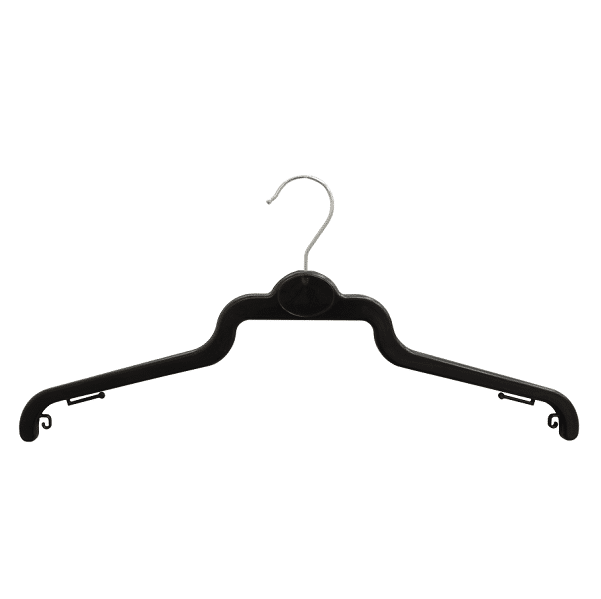 Use our 45cm plastic shirt hangers to further enhance your shirt service. This is because the specially designed neck stops collars from creasing. Plus, hang even heavy denim shirts because of the strong chrome hook. Also, use the under garment hooks to hang dress and skirt loops over. 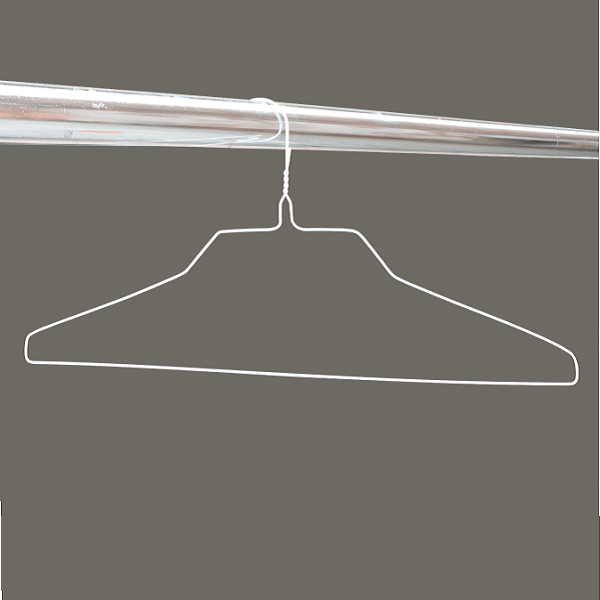 Buy metal hangers using our super fast and secure checkout. Pay by PayPal, credit card or bank transfer. Also, pay in either Euro or Sterling. 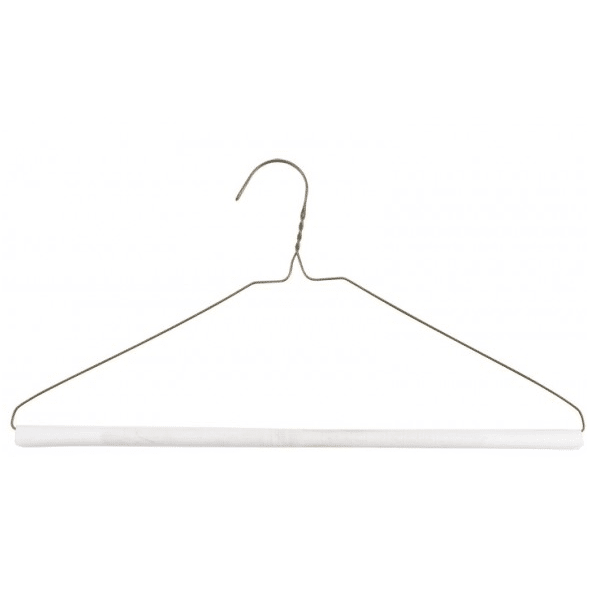 We deliver wire clothes hangers across Ireland and UK. In addition, we provide fast delivery of usually only 1 to 5 working days.